Vincent has over twenty-five years of diverse trial experience in Massachusetts and New Hampshire. He concentrates his practice on healthcare professionals and institutions in civil, criminal and administrative matters. He routinely appears in the state and federal courts, before Boards of Professional License Registration, and at regulatory and credentialing hearings and investigations. He lectures widely on risk management, regulatory compliance, administrative procedure and professional licensing issues. After graduating from law school in 1987, Vincent joined the Suffolk County District Attorney’s Office where over seven years he tried all types of criminal cases in the District and Superior Courts. During his tenure at the DA’s office he served on the Homicide Rapid Response Team, the Arson Prosecution Unit, and as a Special Prosecutor for Norfolk County. In 1994, Vincent joined the law firm of Dunn & Dunn where he focused his practice on the defense of healthcare professionals, practices and institutions. 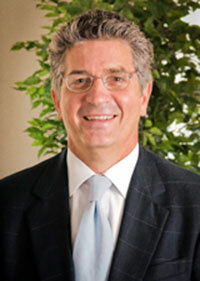 In 2006, he joined Melick, Porter & Shea, where he continued his practice as a Senior Partner. He is now a Principal and founding Partner of HMDR&S. Between college and law school, Vincent spent three years working as a commercial fisherman and oil field worker in Alaska.